There are many additional resources for communities and individuals beyond this guide. Below are a few featured resources. Preparing for After the Fire is a powerful short movie to help communities think ahead about wildfire response created by the Chumstick Wildfire Stewardship Coalition in WA. Use this discussion guide along with the video. Preparing for After the Fire from Hilary Lundgren on Vimeo. 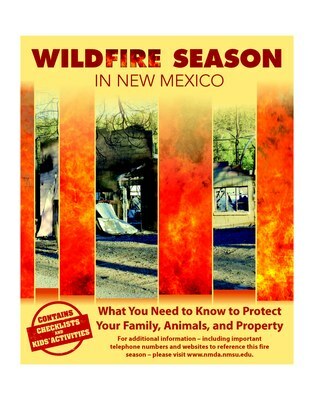 Wildfire Season in New Mexico is an easy-to-use, condensed brochure of useful information before, after, and during a wildfire. It also contains information on defensible space for your home. 'After the Fire' Toolkit provides ready-made communication tools for your community after a wildfire. Recovers.org is a tool to help communities match volunteers to needs after a disaster. They also offer an inspiring TED talk about community response to disasters. Team Rubicon unites the skills and experiences of military veterans with first responders to rapidly deploy emergency response teams to disasters such as wildfires. There's An App for That: Apps for disaster response to upload to your smartphone now. Wildfire Planning resources to prepare before a wildfire occurs.